Someone is doing a good job of clipping perfect spheres. 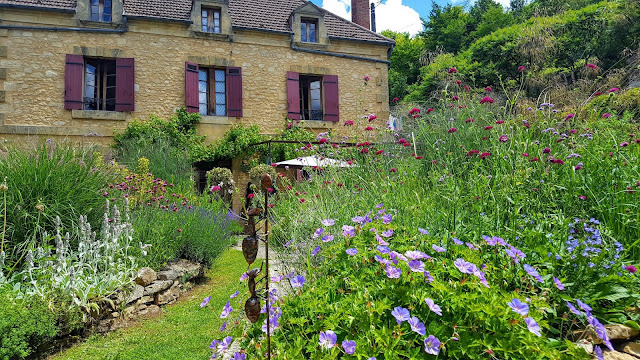 I love the 'green' in the garden at Le Vieux Logis, a grand old hotel in Tremolat, Dordogne. box Le Viuex Logis Tremolat yew. Is there a reason why there is so little use of yew in this area. 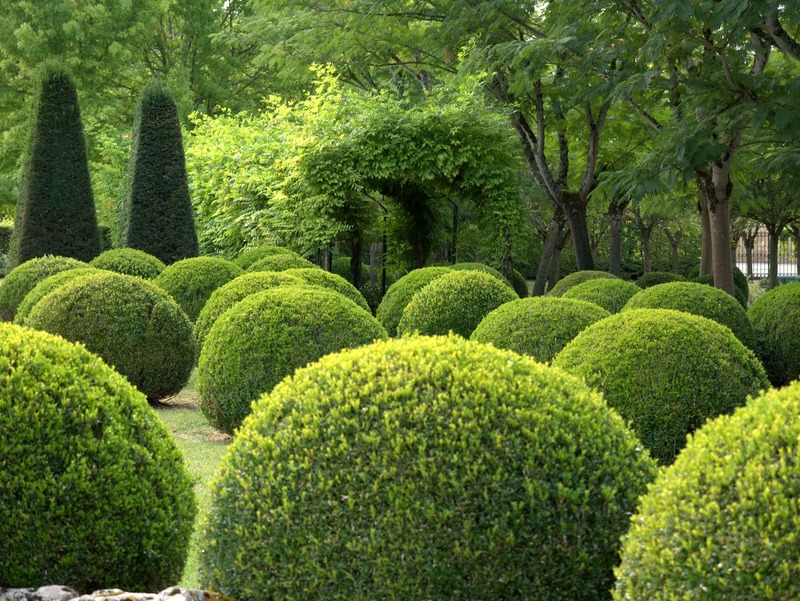 Nearly all the topiary is box. I wondered if maybe yew didn't like the heat, it could certainly stand the cold? 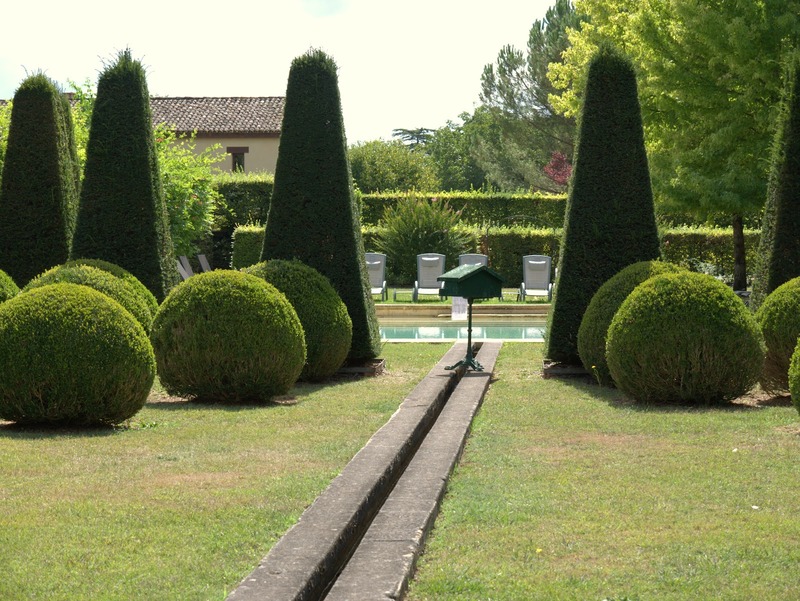 There's plenty of Yew topiary at the Jardins d'Eyrignac so it does OK here. Maybe they should use more. Beautiful. I would not want to take all that on myself! I would be happy to sit at that pool, however, and take it all in! Yep, I can handle sitting by the pool for an hour or two. Agreed. Who does need flowers? I prefer more natural pruning of plants, but I love the color and textures. So beautiful and peaceful. If only all the clipped bushes around my city were as tastefully done! Definitely peaceful - all that green. Somebody has a knack at clipping perfect 'boules'. This is an amazing garden! Very inspiring!! 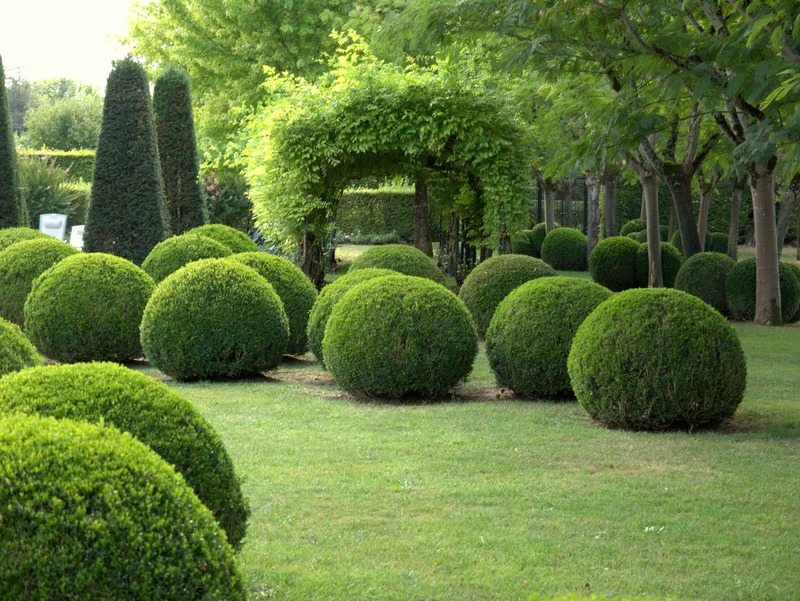 I love topiary boxwood and yews, and hope my box will one day be this glorious!! My box are more egg shaped, and I'm clipping them to be more spherical. Is this garden available for touring? 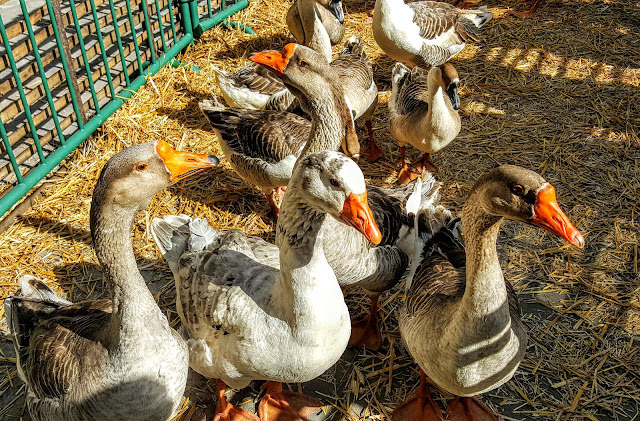 Or do you have to stay in the hotel? 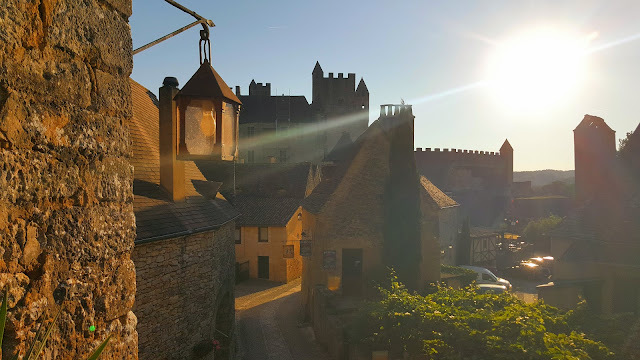 I visit France about twice a year, and might just make a trip to the Dordogne next spring. Oh My! That would take a lot of time and effort. The clippings are done perfectly. Credits to whoever did that. Its fantastic! Wow, that is stunning. I really admire the art of trimming plants like this. I don't believe I could do it. That really does look amazing, with the different shades of green both from the lighting and the difference between the box and the yew. I do love box balls and am considering putting a few in the Japanese garden ... but I'm too tight to pay over the odds for them!!! Your first shot especaially shows how lush it looks with all of that green. All of the texture from the shapes keeps it interesting. It is very calm and serene. I have nominated your blog for the one lovely blog award on my blog, I would be honoured if you would accept the nomination. Great balls! That's quite a trimming feat, but love the results. Beautiful topiary. I look forward to reading more of your blog!